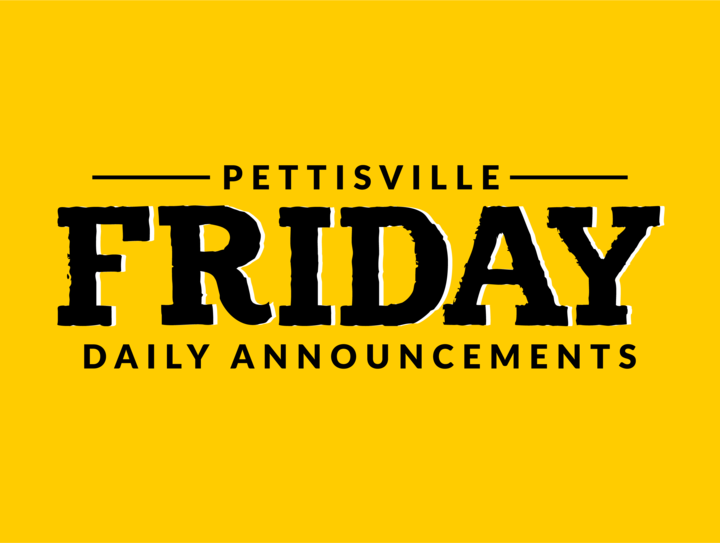 Friday, April 7, 2017 - There will be a meeting today at lunch for boys currently in 8th, 9th, 10th, and 11th grades planning to play basketball next season. Get your lunch and meet in room 150. See Coach Leppelmeier with any questions. Today is the last day to turn in prom RSVPs. If your reservation is turned in, stop by Mrs. Miller’s room to sign up for a table group. Each table group will have 8 people. The robotics STEM module begins today! For all that signed up, please remember to plan to be there. We will be meeting in Mr. Poulson’s Ag classroom after school. Activity Period today will be for Class Meetings. Seniors will meet in room 150. Thursday, April 6, 2017 - There will be a meeting at lunch on Friday for boys in grades 8-11 that plan on playing basketball next season. Any questions, please see Coach Leppelmeier. Attention juniors and seniors planning to attend the prom: Please turn in your RSVPs by this Friday, April 7th. Sign up for table groups will go up tomorrow. You cannot sign up for a table until your RSVP has been turned in! The robotics STEM module begins tomorrow. We will be meeting in Mr. Poulson’s Ag classroom after school. See Mrs. Miller or Mrs. Meller if you have questions. Attention 7th graders and NHS members: There will be a literary lunch bunch meeting today at lunch. The ping pong tournament has begun. Go down to the old commons after you eat your lunch and play whoever you are supposed to in the bracket. Be sure to record who wins the match! The varsity baseball, varsity softball game, and junior high track meet have all been cancelled for tonight. Practices will take place after school. Coach Nyce will be here today at lunch for soccer sign-ups for junior high and high school. Wednesday, April 5, 2017 - DVDs of the “King and I” are here! Cost is $25 each. If you ordered one, you may pick it up from Mr. Beck. Attention juniors and seniors planning to attend the prom: Please turn in your RSVPs by this Friday, April 7th. If you are bringing a guest from another school, please turn in the money for their dinner along with your RSVP. A reminder to all NHS members to contact Harper or sign up on Google Docs to schedule times to work at the FFA dinner on Thursday. Those who play on the softball or baseball team are also encouraged to sign up to work the later shift if their games are cancelled. The robotics STEM module begins Friday. For all that signed up, please plan to be there. We will be meeting in Mr. Poulson’s Ag classroom. Attention NHS members: There will be a literary lunch bunch meeting this Thursday at lunch. Tuesday, April 4, 2017 - DVDs of the “King and I” are here! Cost is $25 each. If you ordered one, you may pick it up from Mr. Beck. NHS members are asked to talk to Harper or sign up on Google Docs for the FFA supper on Thursday. Baseball and softball players will sign up for work in case their games are cancelled. There will be volleyball open gym tonight from 7:30-9:00 in the varsity gym. This is for girls in grades 8-12. The prize day for the fundraiser has been changed to Wednesday, April 5th starting at 12:50 in the JH gym. Attention FFA members with banquet speaking parts: Tonight’s practice is only for officers and Madi at 8:15pm. Wednesday’s practice is at 8:15 and is for all speakers. Both are in the Ag room.